This article contains one or more affiliate links. We only link to things we support and think you could find useful. If you pay for something you clicked on in this article, we may get a commission as a result. Another month come and gone. Let’s look at how our family did on spending, earning, and savings. But first, let’s start with some personal updates. To say this month was intense would be an understatement. As the timeline for our one-year mini-retirement approaches the 12-month mark, I’ve been having some issues with anxiety. Anxiety to the point of panic attacks. I’ve realized over the last year that the stress of entrepreneurship is more than I’m able to handle at this point in my life. It was hard to come to this realization, but it’s also been a bit of a relief once I was able to admit it. That’s left us with the big question of “what’s next?” when it comes to our income and it feels like we’re finally circling in on an answer. I had thought at the start of this mini-retirement that my back-up to entrepreneurship would be finding a remote job as a software developer. As I’ve gotten closer to it though, I’m realizing that there are some significant things about a co-located 9-5 environment that I’ve really been missing. I always said that I loved the people I worked with at my old job and that I loved the products I worked on, but things went deeper than that. I felt like I was a part of a bigger mission - especially working on designing life-saving medical devices. I felt like I was a part of a community; I had co-workers that were more than just peers - they were friends. I had structure to work with and I was able to make a difference using my talents. Entrepreneurship has been a hell of an adventure. I’m not giving up on it altogether - I’ll still have some side projects here and there (like MNY). Remote work as a software developer sounded great, but I’m feeling called back to the world of medical devices. I’m ready to get back to work in a more stable environment where I can put my skills to use, make a difference, and be a part of something bigger. I’m ready to get back into an office job in my old field and put my leadership and systems engineering skills to good use! I’ve started reaching out to my network to see what opportunities are available and am excited to see where this all leads. With all of that, let’s look at how the month went for us financially. 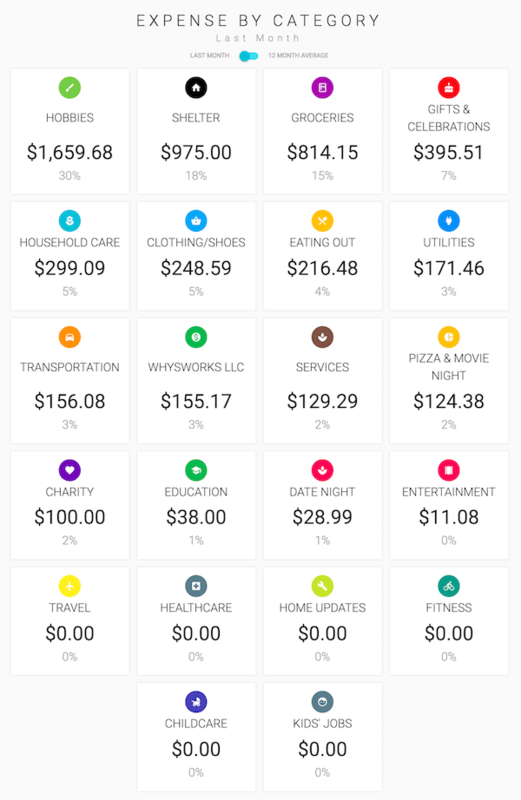 We’ve been manually tracking our spending for the last 2.5 years and it’s helped us make a big improvement in our spending habits. I couldn’t talk Jaime into loving spreadsheets, so I created a web app for us instead. Once we had it for ourselves, it was a logical next step to put it online for anyone to access. In the spending summary below, you’ll see screenshots straight out of our Thrifty account. 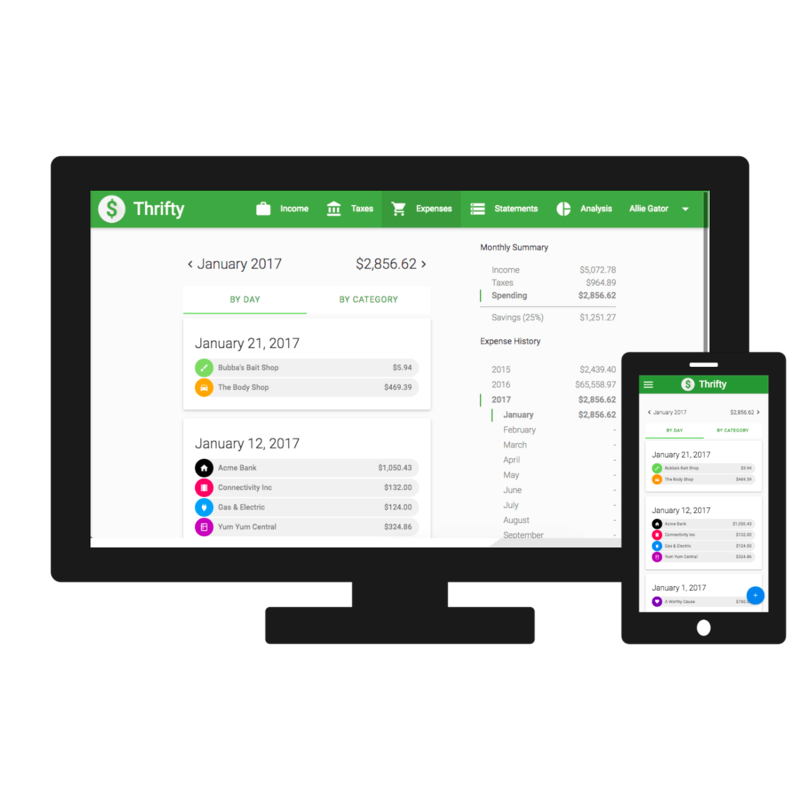 If you’d like to learn more, check out Thrifty and sign up for a free 7-day trial. We’ve been using Capital One 360 for our checking and savings accounts for years. We’ve been really happy with their ease-of-use and interest rates. For travel rewards, we’ve been using a Capital One Venture Card and should be hitting the spending threshold to get our signup bonus soon! In May, we spent a total of $5,522.95. 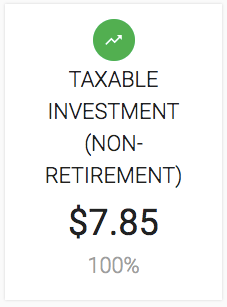 Our mini-retirement budget for the year is $60,000, so we were a bit over our monthly average target of $5,000, but things are still looking good. Charity $100.00 We continued our regular contributions to our church and The Hope Effect, one of our favorite charities. Clothing/Shoes $248.59 After many months of minimal clothing purchases, we had to eventually restock. We got a t-shirt, a dress, a swimming cover-up, and a pair of dressy sandals for each of the girls. We got a pair of flip-flops and a pair of tennis shoes for our oldest daughter. Finally, Jaime re-stocked with 2 tops, 3 shorts, and a zip-up hoodie. Date Night $28.99 All three of our girls were invited to an evening birthday party this month, so Jaime and I took the opportunity to duck out and have a short date night together. It was great to just have a couple hours just the two of us - we’re really grateful for the time! Eating Out $216.48 We had a lot of treats and small purchases this month that added up big. One that was well-worth-it was paying for dinner with some friends. Education $38.00 We paid the fees for our kids’ summer school enrollment and Jaime attended a field trip. Groceries $814.15 We’re still hovering around the $700-800 a month mark for groceries. Really proud of us for bringing this number down over the last year! Hobbies $1,659.68 Phew! 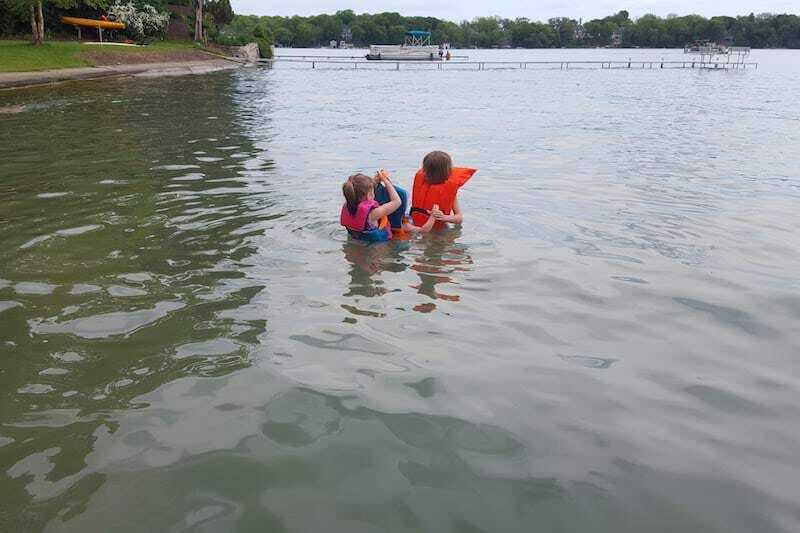 We paid for swimming lessons for this month and pre-paid for the summer to get a discount. In addition, we signed our kids up for an afternoon outdoor camp after summer school. Finally, Jaime bought a bible and journal for a new bible study she’s joined. Household Care $299.09 Laundry detergent, stain remover, face cleanser and toner, hand soap, bubble mix, band-aids, shampoo, cleaning products, moisturizer, dish soap, sunscreen, two ponchos, conditioner, toothpaste, air freshener, toilet paper, a replacement charger for Jaime’s laptop, and roses. We also got three cork boards for the girls to each organize their papers from school when they come home each day. Pizza & Movie Night $124.38 Our Friday night family tradition continues. Services $129.29 Life insurance from Haven Life for Chris, shredding papers at Staples, and paying our landlord to list our apartment for sublet (which we later canceled). Transportation $156.08 We used three tanks of gas this month. 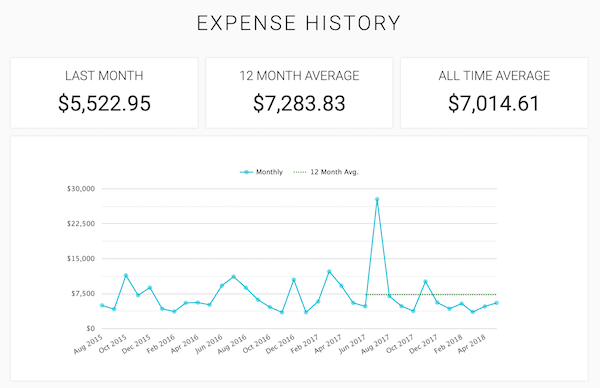 Business Expenses $155.17 Business expenses - app hosting fees for Thrifty and MNY and our email management tool (we use ConvertKit). Also, I purchased a book on app testing and we paid transaction fees for invoices paid through Paypal. Last month, Jaime and I launched our Work With Us page to give us an avenue for some side-income. This month, we both had big victories here. 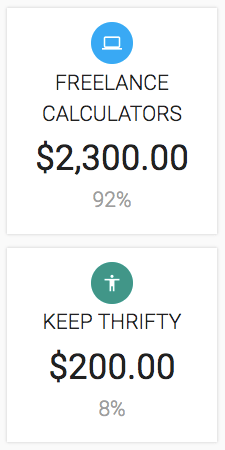 I got paid for two freelance calculator projects (three calculators for ESI Money and one for Your Money or Your Life). Jaime got paid for two sponsored freedom stories. She found an awesome way to keep the spirit of the freedom stories pure while giving us a chance to get paid a bit along the way. We have two stories sponsored by You Need a Budget - one that came out last month and one that will come out later this month - featuring individuals that used YNAB to help them achieve a freedom dream. We’re now a full month into our experiment with Acorns and based on rounding up our transactions on our normal credit card, we had $7.85 invested into our account this month. We like what we’re seeing with Acorns so far - it’s definitely a non-intimidating way to get started with investing. We’ll give you more info as we get deeper in. Overall, we’re doing really well with keeping our spending on-track with our mini-retirement budget. Just one more month to go - we’ll give you the full report next month! Don’t forget to check out Thrifty, the app behind all the pretty screenshots in these reports. You can get your own tracking started for free with a 7-day trial!